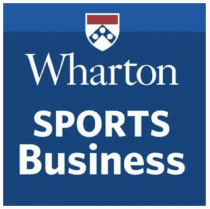 Recently, Hookit Co-Founder & CEO Scott Tilton joined George Perry and Michelle Young on the Wharton Sports Business Show on SiriusXM Business Radio Channel 111. Leaders from across sports and top brands join the show each week to discuss the latest and greatest in sports business and technology, including Chevrolet, Sports Business Journal, Mastercard, T-Mobile, FOX Sports, and more. What is Hookit and how did it get started? What was the inspiration to transition from working with amatuer athletes to measuring the value and effectiveness of sports sponsorships? How does Hookit work with brands to optimize their sponsorship spend? How does the Hookit Valuation Model put a dollar value to social and digital media content? What works and what doesn’t? Who is doing this best across brands and sports properties?